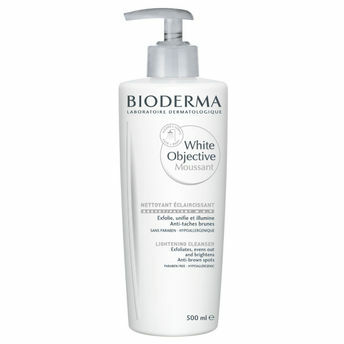 An exfoliating foaming cream that biologically corrects and prevents pigmentation, Bioderma White Objective Moussant offers optimum preventive, anti-spot and lightening efficacy, thanks to the action of the W.O. patent which acts on the main biological mechanisms responsible for skin pigmentation. With White Objective, Bioderma offers a comprehensive depigmenting programme for sensitive skin wanting to effectively combat pigmentation problems. White Objective acts on all phases of melanin production.